Church and group leaders, in addition to FaithArt bible studies offered in-studio and online, there are other FaithArt projects that can be executed as an event in your church, conference, or women's group. Or, if you'd simply like a FaithArt presentation given to your group, contact me for more information. I'd love to partner with you! 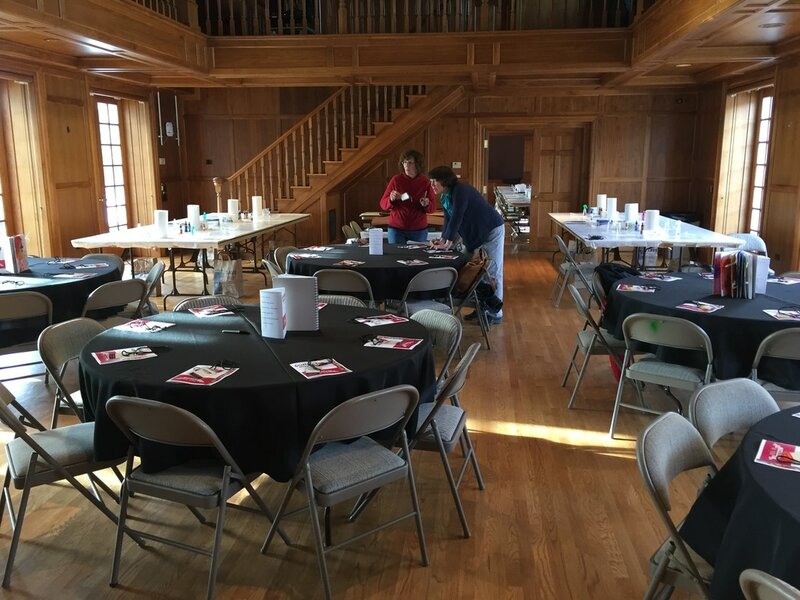 This FaithArt Women's Retreat was done in partnership with Eastridge Church (my home church), in Jan 2017. A collaborative approach was taken in developing this retreat based on the theme; "A New Work in You", and the scripture Isaiah 43:18-19 and 2 Corinthians 5:17. Covering a span of Friday evening and Saturday (full day), the retreat included 2 teaching segments featuring Pastor Cheryl Jamison and myself, 2 meals plus beverages, and a guided FaithArt journaling hands-on experience for 48 women led my myself and a group of trained volunteers. In addition, church staff support covered facilities, set-up/tear-down, audio, electrical, and all promotion/ticket sales (Evite shown below). I provided all logistics for this event. This event came in on budget and was sold out, and has received very positive responses. This mini journal kit was created to support Eastridge Church Women's Conference in Spring, 2016. It was worked into the agenda as a breakout session that the women could sign up for in advance. The mini journal was intended to be used as a remembrance of the things taught at the conference. 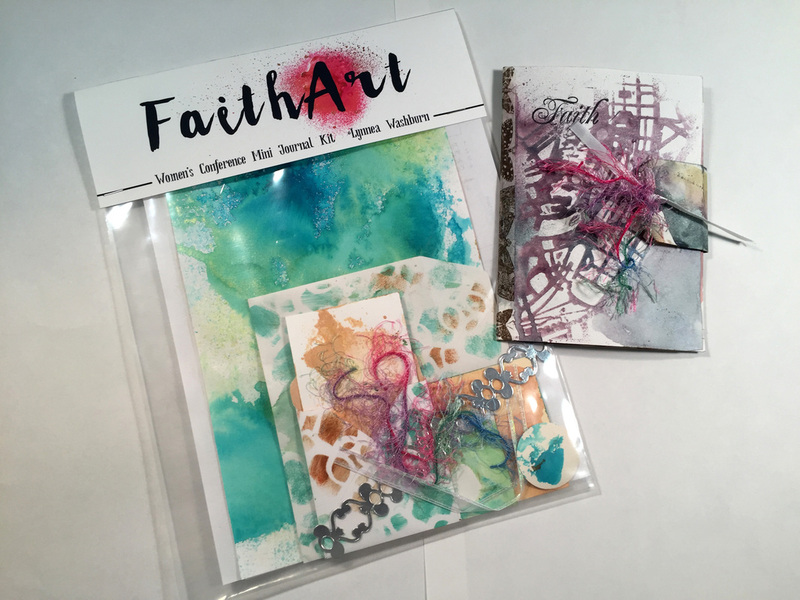 Each kit contained pre-inked pages, notecards & mini-envelopes, tags, self-adhesive paper borders, ribbons, along with clear scripture labels (peel and stick). 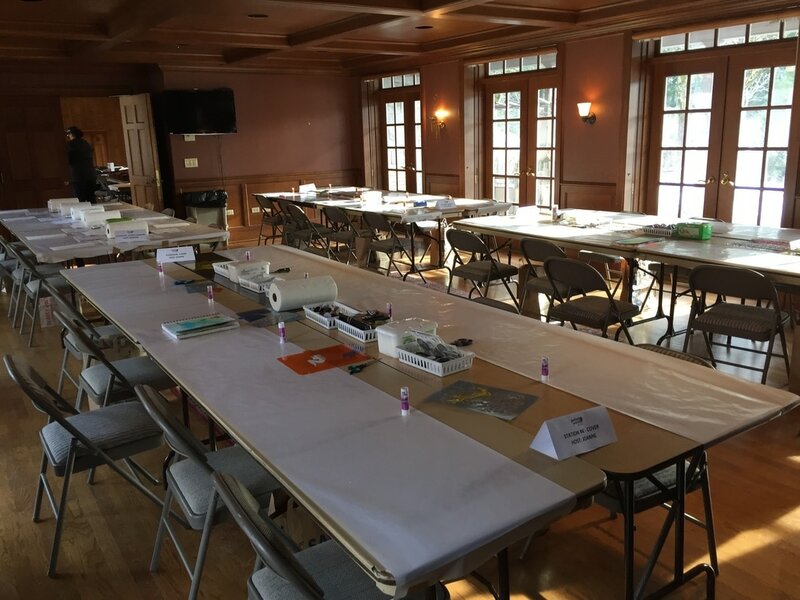 In addition, the group was provided with washi tape, and rubber stamps with related icons. Two sessions of 15 women were guided through step-by-step to complete their mini journal, along with tips on journaling in their booklet. Workshop time: 50 minutes. This event was sold out and received very positive feedback. 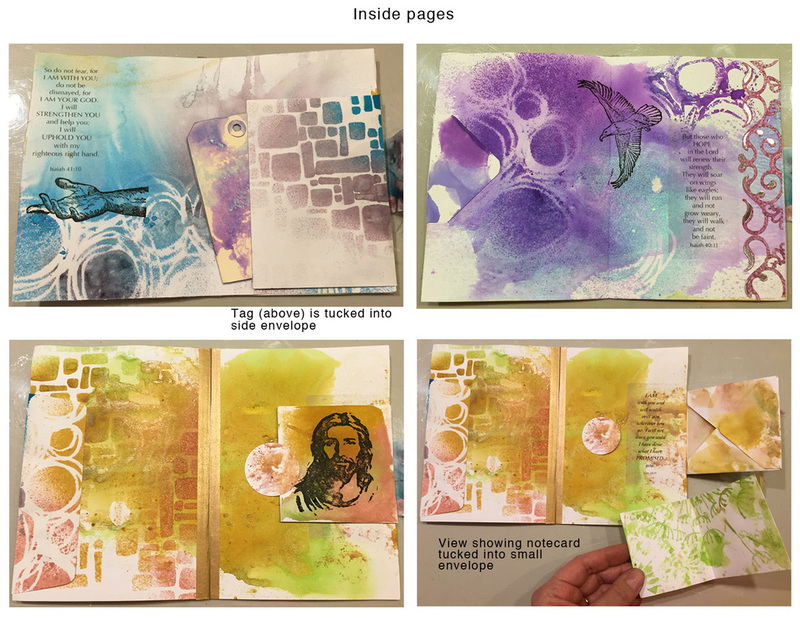 The remainder of the space on the pages was left available for journaling.